When Shelley Wallace started taking over then-named Hagensborg Foods in 2006, she began by reimagining their award-winning truffle chocolate bar. Not knowing much about truffles (neither the chocolatey nor the fungal type), she did some research and was amused by the idea of pigs running through the woods hunting truffles (the fungal type). 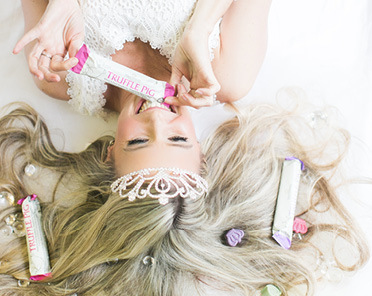 So she created some truffle pigs of her own, whimsical swine bars filled with smooth chocolate truffle in a handful of flavours including hazelnut, mint, raspberry and peanut butter. "Our piggies have quite the personality," Shelley says. In fact, the whole company does – Shelley even refers to herself as “chief porker.” The porcine theme continued the next year when Shelley launched single origin Wild Boar bars after being inspired by chocolate culture on a trip to Paris. "Single origin means you can trace where the bean comes from,” she says. Like coffee or wine, chocolate flavour differs regionally due to particular environments and soil, explains Shelley. The majority of chocolate purchased in the world is a mixture from Ghana and the Ivory Coast. It’s like taking all the red wine from France, Spain and Italy and bottling it as “European wine.” By having a single origin chocolate, you’re getting a better flavour, she says. That’s why she decided to start sourcing Farm to Bar chocolate from Nicaragua. There the beans are of heirloom quality which dates back to the Mayans who originally discovered cocoa. She traveled there mid-January to meet the high-quality cocoa bean farmers and follow their process from cultivating plants to the finished product. She also plans to pay ten per cent above world market prices and pay the farmers directly. 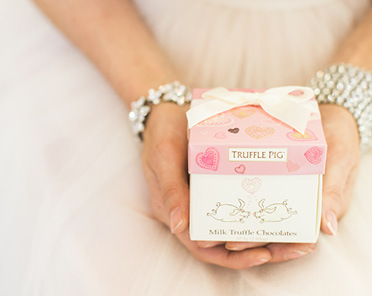 Watch for new truffle pig recipes made with ethically traded farm to bar chocolate in our markets this spring.